For the past few weeks I’ve been an imposter, of the blogging kind. 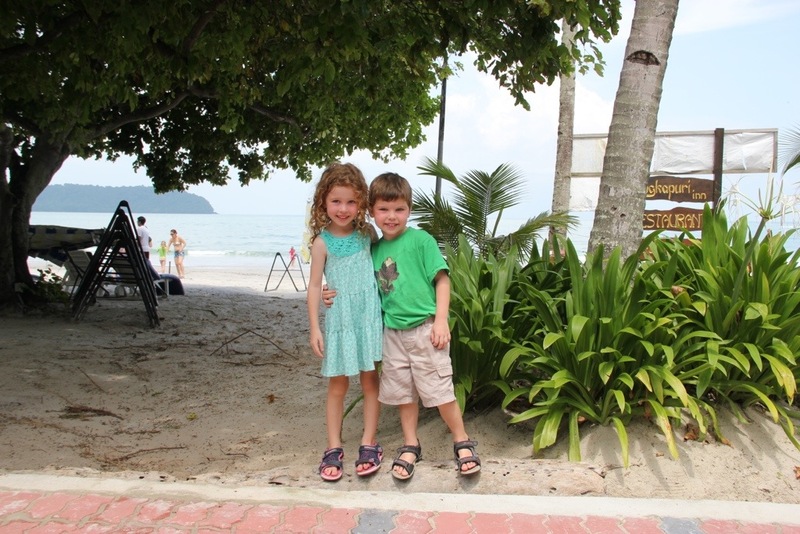 Steve and I have been holidaying in Malaysia (hello, if you’ve been following! ), tripping about with our four-year-old-twins. It seemed like a good time to turn Raising Explorers into a travel blog, just for a while, to try to pass myself off as a travel blogger. My posts have been filled with the usual travel blog trimmings: beautiful places, smiling faces, sunshine, and, in our case, Tiger beer. “Top five” this. “Things to do with kids” that. Blue seas, green forests, white beaches, shining cities, orange sunsets. Did I mention pictures of our kids? We travelled light and backpacked about. You can read about our Malaysian adventures in Kuala Lumpur City Centre Park, KL Chinatown, Batu Caves, our time relaxing in the rainforest on the Santubong Peninsular in Sarawak in Malaysian Borneo, our wildlife-spotting boat trip in Santubong, things to do in Kuching, and our exploits in Borneo, visiting orang-utans and a fairy cave, if you’re interested. 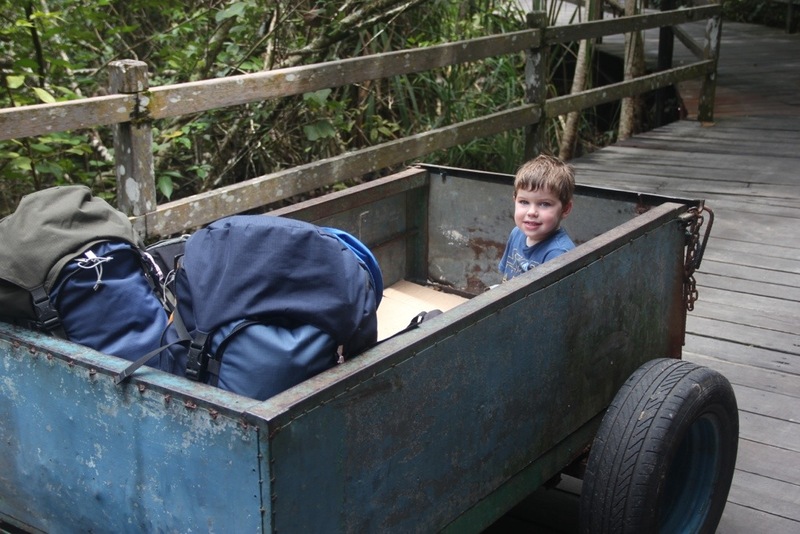 To balance things out, I thought I’d pause this week and talk about the reality of travelling with two four-year-olds, warts and all, because, in all honesty, it wasn’t always a party. Kids get tired when you’re travelling. Alright, we were gone for four weeks, which is not exactly an epic journey, but when you’re constantly on the go, kids get tired. 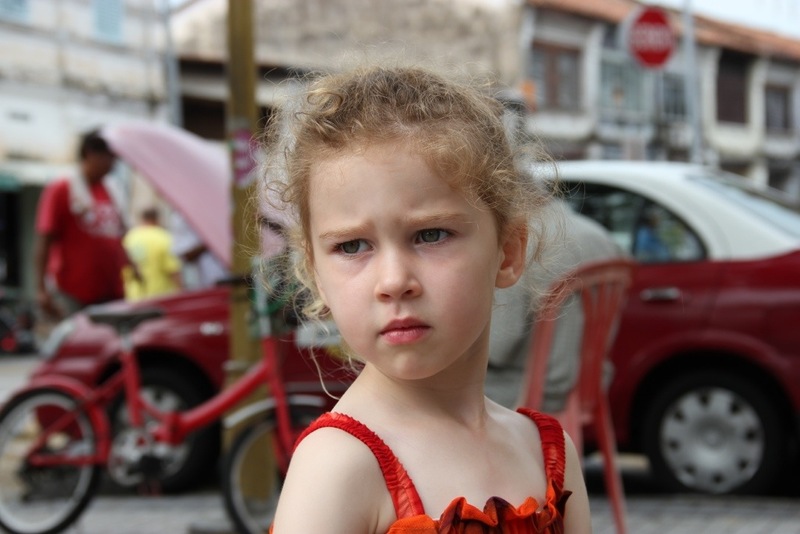 As every parent knows, tired kids are cranky kids. And cranky kids are not good travellers. Blake and Phoebe weren’t tired and cranky all the time, but we certainly had our moments. I am in awe of some family bloggers who I have encountered in cyberspace, who are scooting around the globe on indefinite world travels with their kids, for months, or even years. 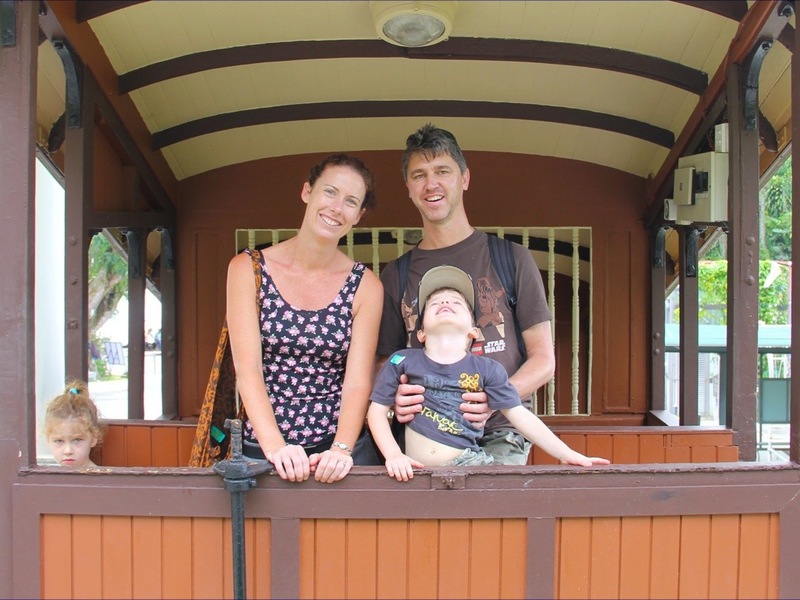 Check out Travel with Bender – the Benders have been away for 465 days – with two toddlers! Somehow the kids must get used to being on the road. Perhaps, for them, it’s not as tiring, as they move more slowly, with time to relax and take a breather at each stop. Or their kids have just become more adaptable. For us, four weeks was probably enough. Although I would have loved more time away, the kids were ready to get back to the sanctuary of home. Dorothy wasn’t wrong when she said, “There’s no place like home.” Adventures are fun, but it’s always nice to go home, especially for our kids. On the road, we zipped about Malaysia, spending three days here, four days there, trying to see as much as we could in the time we had. It wasn’t always relaxing. But then, we didn’t go for a relaxing holiday; we went to see Malaysia. As for Sleepy and Crankypants… when Miss Phoebs was tired and cranky, we had moments like this… A delightful family photo! It is actually my favourite family photo. EVER. Phoebe is hilarious. Bring on the 21sts! Hmmmmm. I’m going to call this pensive. Mixing up a few days on the beach, with a few days in the city, then a few days relaxing on the beach, helped break up the trip and alleviate the tiredness. It is super dooper awesome fun to travel on different modes of transport, but it’s not very conducive to napping. As such travelling around on trains, and buses, and ferries all day long, day after day, can lead to tiredness, and out come Captain Sleepy and General Crankypants. Here we are on the Penang Hill cable car. Things are awesome. We are having a ball whizzing downhill! Little did we know that at the bottom of the hill, only moments later, following three days without a nap, Cyclone Phoebe was about to make landfall, leaving mass destruction in her wake. I don’t want to go into the gory details, but let’s just say we had to be moved on by a security guard… Yep. We also did a fair amount of walking. Phoebe and Blake were PHENOMENAL with the amount of walking they did, for four-year-olds. They scaled the stairs at Batu Caves without complaint, AND at the Fairy Cave, outside Kuching in Borneo. They traipsed about KL, Kuching and Penang. Sometimes they were full of beans. At other times they were less enthusiastic. All of this is tiring. It’s no wonder they were buggered after a couple of weeks on the road. Travelling Malaysia was a VERY different experience to our Californian road trip last year. In the US, we hired a car. The kids slept as we drove, and seemed to be less affected by the movement from place to place. Backpacking, without a car, was a lot tougher. Check out how they crashed when we eventually hired a car on Pulau Langkawi, at the end of our trip. Poor munchkins. Let’s end with a laugh. Let’s talk spicy food. My children don’t like it. When I cook it, they won’t eat it, so I generally give them something else. The loud complaining about burning tongues is just not worth the effort. That said, it’s probably my lack of talent in the kitchen that has dulled their senses to what food is supposed to taste like, so let’s not blame them. Going to Malaysia, I had the slightly unrealistic hope that they would jump on board the food tour, and have a bite of char kway teow, or tiny taste of laksa… at least give satay chicken on a stick a go! But in the words of Darryl Kerrigan, I was “dreamin'”. Noodles and rice were pretty much the only Malaysian foods they would eat, and even then, Blake wasn’t too impressed, so he conducted his own Italian food tour of Malaysia. He had spaghetti bolognese in KL, and Kuching, and on the Santubong Peninsular. He had pizza in the Red Garden hawker’s centre in Penang, and spaghetti and meatballs on Pulau Langkawi. Don’t ask me why spaghetti is preferable to noodles. I have no idea. Actually, I lie. The kid is a tomato sauce demon. That’s why. Oh, and check out that pool in the background. We went a bit crazy at the end and splurged at a resort. It’s always hilarious turning up at a fancy joint with your backpacks! So that’s it… warts and all. There was pain. There were tears. There were tantrums, and brushes with the law. There were puffy eyes. There was screaming. There were times (many) when we all needed to hold hands in a circle to get into and out of the lift, because Phoebe was scared that someone was going to be left behind. We were quite an attraction ourselves, on occasion, and not always a pretty one. That said, travelling in Malaysia was also a wonderful experience that our children never would have had, had we not ventured offshore: monkeys, orang-utans, caves, rainforests, starfish, headhunters, bats, beaches, new cultures, boats, bikes, spaghetti. Was it worth the effort in the end? Of course it was. After all, travel is as much about overcoming the challenges that the journey throws at us, as enjoying the sights along the way, isn’t it? 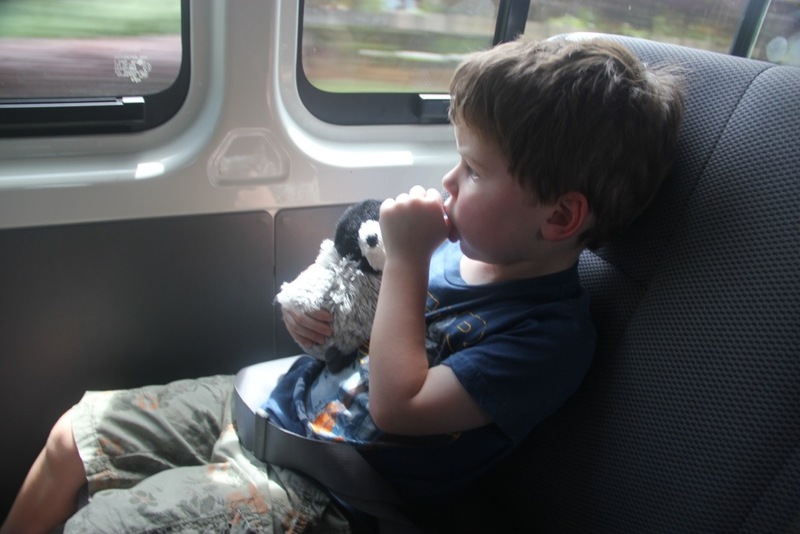 What are your experiences of travelling with kids? Backpacking or road tripping? Camping or resorts? Tell me how you do it! Linking up with Budget Travelers Sandbox for Travel Photo Thursday and at With Some Grace for Flog Yo Blog Friday – check them out! Had never contemplated Malaysia as a holiday destination until your recent posts. From your travelogue, it looks not only intriguing but “do-able” (not in a Tony Abbott sense!) Doubt I will have the courage to go just yet as my rising four year-old does a mean line in cranky. But maybe some day. You forgot the thongs! 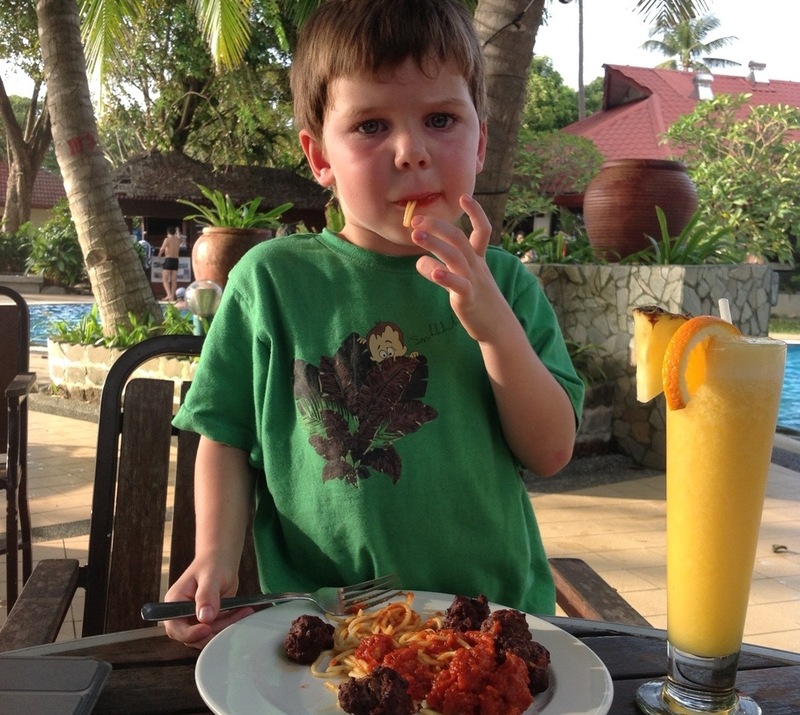 And my child vomming in the restaurant! Love it Lisa, where do we meet you next year?! Oh the thongs and the sand on the feet!! Will have to mention that and the vomming in Langkawi posts. You’ll be guest starring! Haha – next year? Tell us where and we’ll be there! 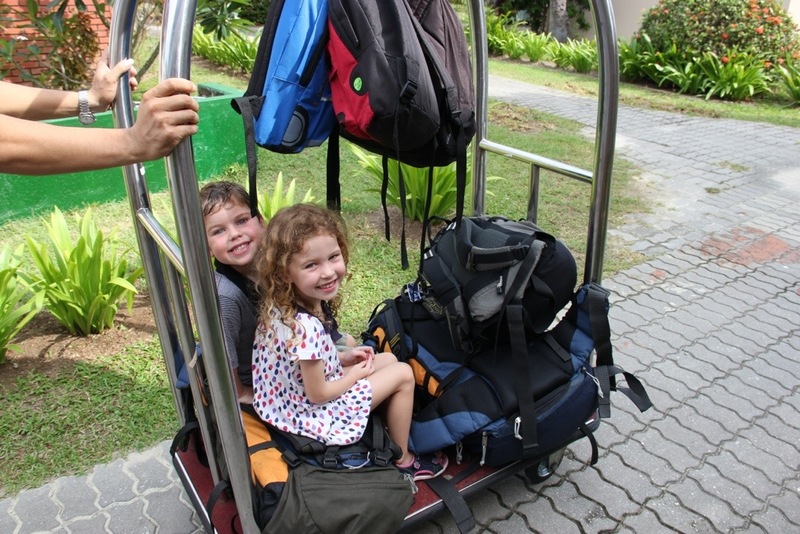 Having just returned from a week in SIngapore with 4 & 6 year old grandsons (thank goodness their parents were there too) I can relate to your post (you can see some pics on my latest post). 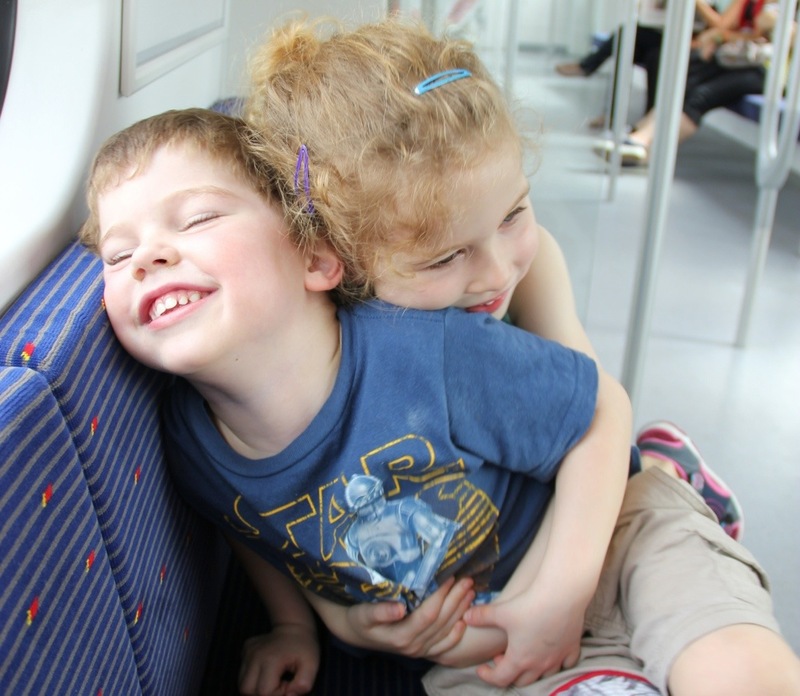 It certainly can be a challenge travelling with children – but oh the joys of seeing it through their young eyes. Happy travels. I am linking up to you through Travel Photo Thursday. Thanks Jill. I loved your aquarium post. Yes, the exposure to the new and wondrous very much outweighs the challenges on the way! I will agree that car roadtrips when the kids can nap while the parents drive are so much easier. I remember my too-heavy-to-carry son falling asleep on the train in Tokyo after a long day at Disney being afraid I wouldn’t be able to wake him up when it was time to get off. I’m so glad that the pros outweighed the cons when traveling through Malaysia. When we’re someplace for a limited time, we also tend to have a jampacked day without much downtime. It does get easier as the kids get older, especially when they can start carrying their own bags. Yes, I can see it getting easier as the kids get older. Carrying their own bags? That will be fantastic! In the meantime, I’m too impatient, so we’ll just have to battle on. Hopefully we’ll learn from each journey, too. Thanks for stopping by, Michele. Thanks Denise. It really was, despite the whinging. Thanks Noel. Absolutely, it was worth it. Must be why I’m ready to plan the next one! Crazy? Probably. Your kids sound like little troopers to me, Lisa. Traveling can make us all a bit cranky and I see you’re enjoying it. Soon they won’t want to hang out with you at all. Kudos to them for even trying spicy food! Have to agree with you – can’t go wrong with pizza. Re: Cyclone Phoebe, yes, it was a little embarrassing dragging her up off the ground and carrying her away. It’s funny now… but then… Arrrgghhh! Anyway, we’re not giving up. They will be seasoned travellers in no time! Hi Lisa, I love how how you turn the not so fun events with your kids into a very entertaining read! You’re a very good writer. And your photos are adorable and hilarious. Your favorite family photo made me laugh so hard. I give you so much credit for taking the kids on such adventurous trip as such an early age. I’m sure they’ll appreciate it as they get older and that traveling with them will be easier as years go by. Oh thanks, Marisol. Yes, that family photo never ceases to crack me up. God, she is hilarious! I love your blogging style. Even the bad times sound like fun (even though we know they were not). I am sure that adults feel the same as children when they are tired, we have just had many more years of conditioning to not show it. I know at times I have just wanted to cry and have someone pander to me (or not) – after all the crying and tantrum is what really appeals 🙂 You are right in that when you have more time (like years) to travel, things slow down and calm down. Now that’s something to work on! So true – I do need to work on slowing down!!! I think I’ve learned from this one that we really can’t try to do too much. We can see what we can, and go back another time to see what we missed. We have many years of travel ahead – can’t wait!!! Thanks for stopping by, Jan. I think you’re actually very brave to do a three week trip – especially with public transit. We certainly did lots of outdoor things – and I know my kids could tell stories about epic hikes at a young age but that was easier on me – bribe with food and keep going. You’ve obviously got a case of wanderlust and I hope you’re able to keep feeding it and enjoying travels with your family. Hey Leigh, epic hikes sound extremely tough with kids, but I guess it’s all a matter of what we become accustomed to. Steve and I love hiking, too (not as epically as you do… haha) so we are going to start to do some walks with the kids. I loved it as a kid, so I hope they do too! I totally remember the pre-school years of travel and this post was so relatable. We’ve experienced crankiness, crying, tantrums and a lot of whining. I still get some of those (and they’re 8 & 10) but choose to use the smiley faces pictures 🙂 It does get easier as they get older and traveling at such a young age will help them adapt better. Your kids are such troopers to have hung on for three weeks of travel. Love the family picture but also all the adorable pictures of the kids throughout your trip. Glad you survived your adventures in Malaysia. Oh, Mary, I’m glad it’s not just us!!!! I know it’s going to get easier. I love the smiley faces, too, but sometimes the cranky ones are just classic, aren’t they? Thanks for stopping by and sharing! What an adventure! 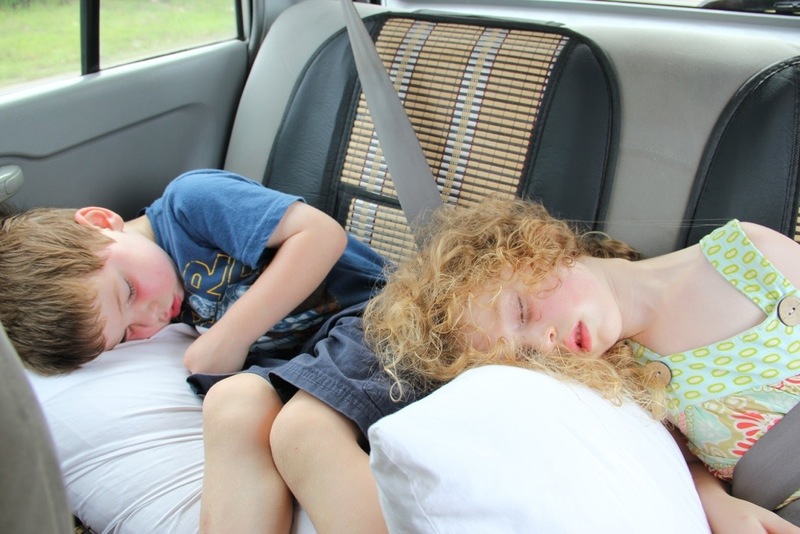 Love that photo of them crashed in the car…too cute! Would love to visit Malaysia some day. Thanks, Grace! Yes, I love that one, too!! Actually, I love every one, even the cranky ones. Gotta be realistic, hey? Thanks for visiting and hosting #FYBF. Love it! Thank you so much for mentioning us. You are right, it is exhausting! But we do have bits in between where we stop and do nothing. Currently in Israel it’s been 2 months the longest we’ve stopped! And I can’t wait to get back on the road. The kids do adapt and they do it very well, but we are very aware of nap times and bed times and do our best in all places to keep some kind of routine (http://travelwithbender.com/travel-blog/travel-thoughts/a-day-in-the-life-of-erin-digital-nomad-mother-traveller/). Thanks for stopping by, Erin! Will check out your link. I’m following your adventures with interest. You are amazing parents, and yes I love that family shot it is so beautiful and funny, thanks for sharing your journey. Not sure about amazing, Kath. We just want the kids to appreciate the world we live in. Thanks for your kind words. Yes traveling with young ones is not easy. My son was 2 1/2 when he had a major breakdown in Ambor Fort because he was tired and over the heat and crowds. I was never so embarrassed as when the security guard pointed us out. Its not always easy but its always an adventure! It sure is an adventure… And we have funny tales to tell. My hat goes off to you all….and I love the Pics!! Cyclone-kids-travelling-new experiences…yep that we have done…we have one of our sons who doesn’t handle changes too well so we end up with similar situations. Absolutely, space helps. Glad I’m not alone in the tired kids when travelling scenario. Not sure what our next trip will entail, but can’t wait! I’d love to visit Malaysia. It looks like a great holiday with the family. Those kidlets are gorgeous! Great candid pics. Yep, we made it! Haha! Soooooooo glad it’s not just us! Is all part of the adventure, isn’t it? It can be hard sometimes – and sometimes I just want to stop traveling all together. But then something wonderful happens and I remember why we power through the hard times! 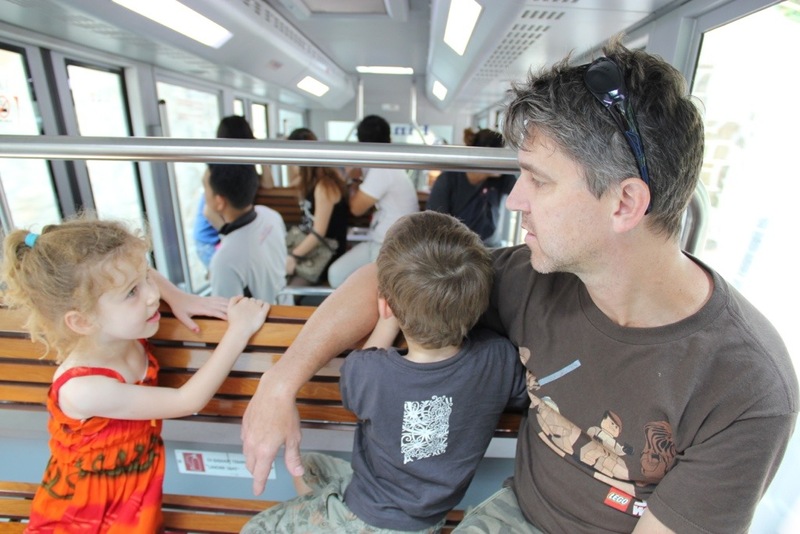 Backpacking with 4 year old twins in Malaysia. Are you game? I think you’re spot-on about the indefinite travellers going more slowly and finding a groove. A trip of three weeks or less tends to be very hectic compared to a longer journey. I’m not surprised your little ones crashed (it’s a feat you got as much mileage out of them as you did). But you definitely had enough good times to make it worthwhile! Can’t believe I didn’t read this long ago, it’s a great post! Thanks for writing it, it’s funny and so realistic and honest. Great!